Bhubaneswar: Odisha Govt formally names Wheeler Island after Abdul Kalam. 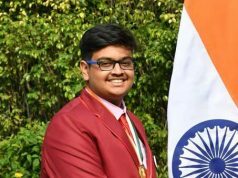 Odisha government today renamed the Wheeler Island as APJ Abdul Kalam Island after obtaining the no objection certificate (NOC) from the Union Ministry of Home Affairs. The Outer Wheeler Island is located approximately 10 kilometres off the Odisha coast on the Bay of Bengal at Chandipur under Chandbali Tahasil of Bhadrak district . Earlier, Chief Minister Naveen Patnaik had urged the Union Government over declaration of the Wheeler Island to be named after Kalam to commemorate his contribution to the DRDA and India’s defence system. 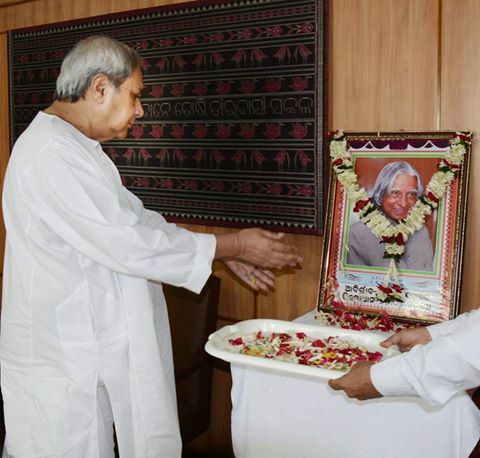 Chief Minister Naveen Patnaik pays homage to Dr. A.P.J. Abdul Kalam at Secretariat. 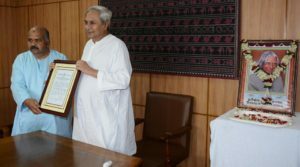 Chief Minister Naveen Patnaik receiving the Gazette notification regarding “A.P.J ABDUL KALAM ISLAND” at Secretariat on Thursday.